Membership at Chabad Jewish Center means that you partner with us in bringing traditional Jewish values to hundreds of families in our areas. A cornerstone of Chabad is that we welcome everyone and strive to provide a comfortable and meaningful place for everyone who comes. 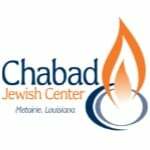 Chabad Center does not require membership to participate in any of our services. However, membership dues are what helps cover our operating budget. We welcome you to join our membership family and enjoy being part of our wonderful community! Membership and tickets are not required for High Holiday services. All are welcome! Any Donor to Chabad Center of $1,450 annually is awarded automatic membership. No one will be turned away to any service or program of Chabad due to lack of funds.